I’m Yaeli, from London, England. I am lucky enough to be currently living in Florentine Tel Aviv. Florentine is one of the most interesting places – both during the day & night filled with a variety of cultures. 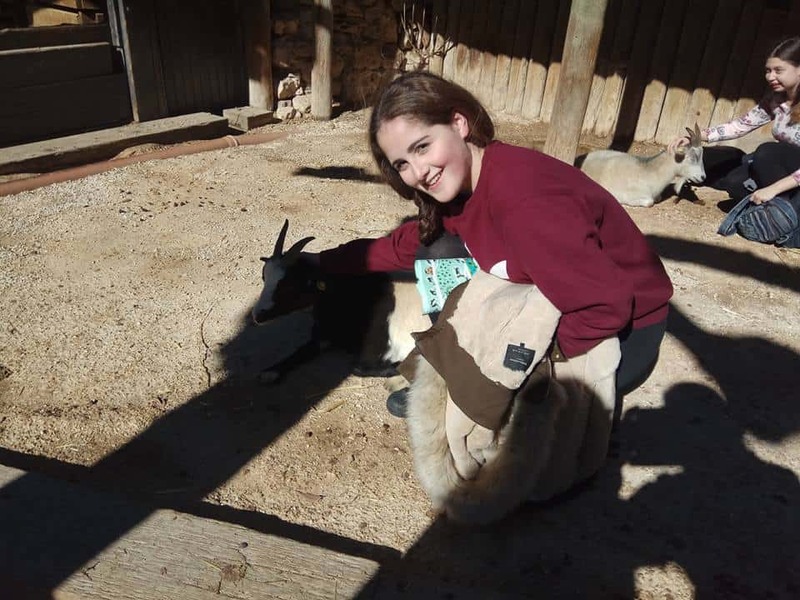 I have been lucky enough to participate in both semesters of aardvark and experienced the most incredible things – living in both Jerusalem and Tel Aviv. I first heard of aardvark from my sister, who told me she had some friends who went on the program and loved it. At first I was skeptical about it, as I didn’t want a boring program. I also wasn’t sure I wanted to leave home yet. Growing up i was a very shy and nervous kid, so coming to Israel was a big step for me. I only started to grow out of that phase a year or two before coming on aardvark and I believe aardvark has brought me out my shell more. I have had the most unbelievable experiences on aardvark, from all the amazing friends I have made, to being able to share my British culture, which the Americans tend not to appreciate, as Brits are better. My favourite tiyulim are going to the kibbutzim. We went to a kibbutz near Eilat called kibbutz Ketura, it was one of the most amazing trips ever. We got to learn all about kibbutz life as well as take a dip in the pool and even had the chance to hike with the group and explore. My fondest memory of this kibbutz was having a bbq at night alongside the pool and a few of us jumping in all together fully clothed. Silly and fun memories like this will always stick with me. I think a big thing I love about aardvark is what a family we are. The incredible people i have met who i now call my brothers and sisters. I feel so close to all the staff and my friends, i love them dearly. They mean the world to me and I will miss them loads when I continue with the journey that is life. They all make me smile when I see them and when I get to spend time with them. I just want to say a huge thank you to all the staff and Madrichim. I feel honoured to have gotten this opportunity. Cheerio and God save the Queen.